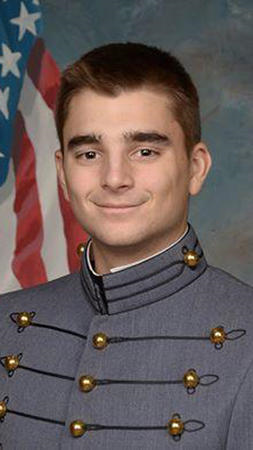 Cadet Mitchell A. Winey, of West Point, New York, was a member of the Class of 2018, B Company, First Regiment. He sacrificed his life in the line of duty on June 2, 2016 as he and eight others were conducting convoy operations as a Cadet Troop Leader Training exercise with the 3rd Battalion, 16th Field Artillery Regiment, 2nd Brigade Combat Team, 1st Cavalry Division in Fort Hood, Texas. CDT Winey was serving as the transport platoon leader for the field artillery division of Fort Hood’s 3-16FA Regiment when a flash flood overturned the tactical vehicle he was driving. He was 21 years old.